Bachelor of Science in Electrical Engineering & I.T. 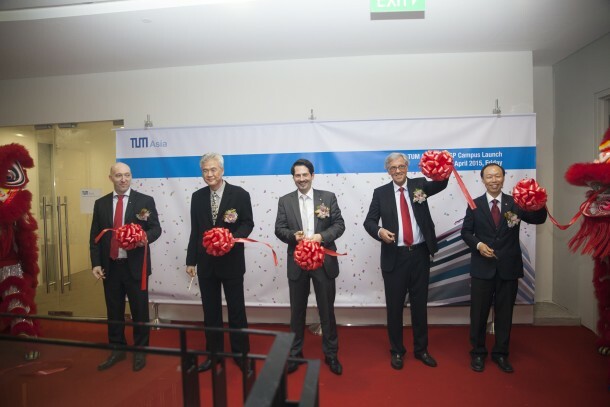 Singapore, 24 April 2015 – TUM Asia, the Asian campus of Germany’s leading engineering university, Technical University of Munich (TUM), marked the opening of its new campus at the SIT@SP Building at Singapore Polytechnic today. More than 130 staff, students and guests were joined by Ambassador of the Federal Republic of Germany to Singapore, His Excellency Dr Michael Witter; Vice President for External Relations, Singapore Institute of Technology, Associate Professor Yee Fook Cheong; Deputy Principal of Singapore Polytechnic, Mr Lim Peng Hun; Senior Vice President for Research and Innovation at TUM, Professor Thomas F. Hofmann; and Managing Director of TUM Asia, Dr Markus Waechter, who announced the launch of the TUM Asia – SG50 Scholarship for four Singaporeans. In commemoration of 50 years of diplomatic relations between Singapore and Germany, TUM Asia also announced a new TUM Asia – SG50 Scholarship. The new Scholarship will be exclusively awarded to four Singaporeans: two who enrol in the Masters programmes, and two for those enrolling in Bachelor programmes. 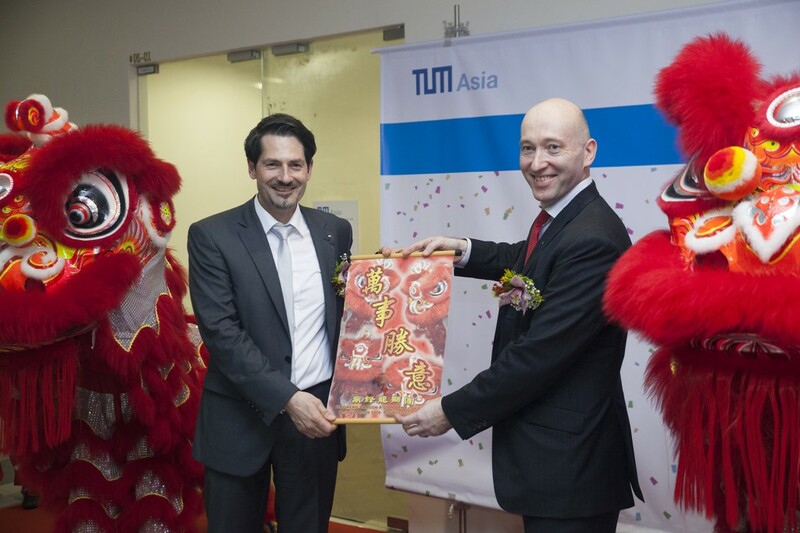 The Scholarship, which will fully cover the tuition fees of the scholars, is also TUM Asia’s commitment to empower the next generation to shape the future through holistic and practical education, combining German engineering and Asian relevance. This is the latest in a series of scholarships offered by TUM Asia, which has awarded more than 350 scholarships to its post-graduates and undergraduates over the years. The Scholarship, applicable only to the August 2015 admission intake, is open for application from now till 15 May 2015 for post-graduates applicants and 15 June 2015 for undergraduate applicants. “Even as the nation celebrates 50 years of independence, we also want to remember the importance of the engineer’s role in shaping Singapore to the way it is today. As such, TUM Asia is looking forward to offering our new scholarships to four deserving Singaporean undergraduates and post-graduates, who have the potential to excel in their future engineering careers and become creators of tomorrow,” said Dr. Markus Waechter. In recognising the need for engineers of tomorrow, TUM Asia has also recently launched a new graduate programme in Power Systems & Energy Management, which will open for applications in the fourth quarter of 2015, with classes commencing in August 2016. TUM Asia has also enhanced its Master of Science in Green Electronics programme (previously known as Master of Science in Microelectronics), which is offered as a joint degree by TUM and Nanyang Technological University (NTU). The Master of Science in Power Systems & Energy Management programme aims to nurture next generation engineers and managers in energy field who can contribute to the sustainability of the power industry and improve energy efficiency, while the Master of Science in Green Electronics programme aims to educate next generation semiconductor researchers and engineers to work in the research areas of novel electronic/optoelectronic devices and systems, with particular focus on the energy, sensing, monitoring and manufacturing fields. “My experience at TUM Asia has been an extremely rich and fulfilling journey, as the curriculum they offer is robust and highly applicable to the industry, and my TUM degree has been highly favoured by my potential employers. I look forward to pursuing my Master’s at TUM in future and I know it will stand me in good stead as an engineer,” said Tan Qi Sheng, who will soon graduate from TUM Asia with a Bachelor of Science in Electrical Engineering and Information Technology. He is looking to further his studies in the Power Systems & Energy Management post-graduate programme.